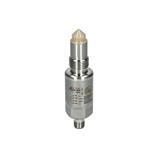 The LMT110 hygienic point level sensor from ifm with 2 x NC/NO progammable contacts is recommended for applications with oils and fats as well as highly fatty media. 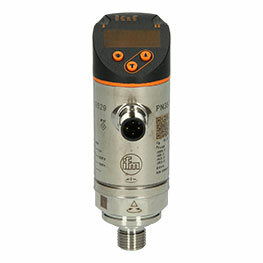 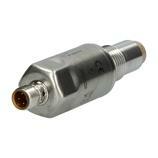 Its compact sensor tip allows integration even in small DN25 pipes. The factory setting to different fluid types eliminates the need for an adjustment. The LMT110 point level sensor is characterised by a hygienic design with maintenance-free sealing concept. 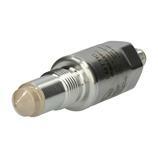 Due to the robust stainless housing with protection rating IP68/IP69K and the laser type label for durable legibility the sensor meets all requirements for hygienic areas. Therefore the LMT110 point level sensor with M12 connector and process connection G 1/2 male is the perfect solution for limit monitoring of tanks and run-dry protection of pumps in the food and process industries as well as for level detection on storage tanks.